The flights are booked, accommodations has been sorted, it’s time to announce my upcoming travel plans! As many of you know traveling and exploring the world is something that runs deep in my heart. There is always something that we can learn from our surroundings, and sometimes all we need is a different lens to view it through. This is what travel does for me. It allows me to see the world through a different lens. Talking about lenses, in my backpack fit this time a DJI done, a Nikon camera and a Sony camcorder. Travel allows me to experience different food, cultures, and stories that I would have never experienced otherwise. My first idea was to make a long overland journey in West-Africa, but due the rainy season over there, I’ve decided to focus on another part of the world. Since Colombia was already for a long time on my list, Bogotá will be the starting point. Next journey will take us from Nicaragua all the way to Mexico. I can’t wait for Central America with its beautiful mountains, turquoise waters, diverse culture, incredible tortillas, and the most delicious coffee. 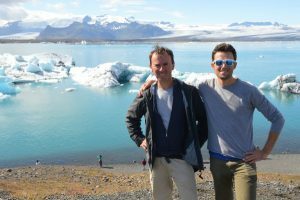 I’ am not making this trip alone; Fabrice, my old travel mate is very excited as well for what is waiting for us along the road. Before we booked our flights we knew that we needed to figure out what activities we absolutely wanted to do in each country. This helped us decide how many days we needed to allocate in each, how expensive it would be, and how long we would be spending in “transportation mode”. This was the most difficult part of our trip planning because we want to do a lot, we want it to be on the cheaper side, and we want to be as active and authentic to the local culture as possible. Other facts as safety and time were important to create an itinerary. Of course unexpected situations can always chance our routing, but for now here is what we came up with as an itinerary. Colombia is one of the world’s most diverse countries with two oceans, a range of climates, energetic cities, and astonishing wildlife! Colombia’s cities hold plenty of attractions. 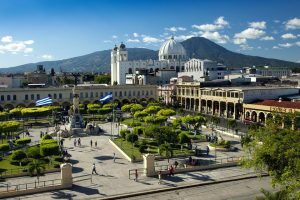 The capital Bogotá, with its mountains and museums, the flower-filled plazas of Medellin, Cali the world’s salsa capital and Cartagena, the jewel of the Caribbean coast are destinations we will not miss. Other Colombian sights and experiences we will do include a trek through the world famous coffee district and Tayrona National Park home to some of Colombia’s most gorgeous beaches, it is also rich in Colombian culture, wildlife and tropical rainforest. Our second country on the itinerary is Nicaragua. 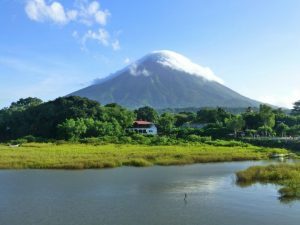 Nicaragua has long been off the radar due to years of political and civil unrest, but these days the country is stable and open for tourism and becoming increasingly popular. The jewel of Central-America has well-preserved colonial towns, vibrant jungles, white-sand beaches and stunning Caribbean islands like Little Corn Island where I can’t wait to discover the underwater world. 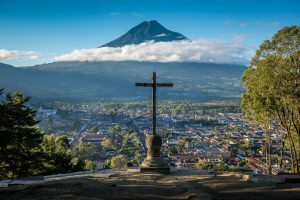 Nestled between Guatemala and Honduras, El Salvador is the smallest country in Central America. It is often skipped over by travelers – it has a well-known history of civil war and lesser-known reputation for secluded beaches, lush landscapes, and welcoming locals. We will rent a car with driver during a week. El Salvador is full of coastal surprises, magical wonders to wander, warm hearts and welcoming people. 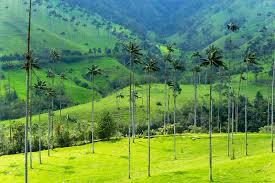 On our list are the colonial towns of Ataco, Juayua, and Suchitoto and La Palma. We will try to hike the Santa Ana volcano, and more. From Santa Ana in El Salvador we will cross the border into Honduras to visit Copan.The Copan Ruins are located in the western part of Honduras, about 60 kilometers from the border with Guatemala. Copan, considered by many one of the most spectacular cities of the ancient Maya civilization, is a ruins complex known for its beautiful stone temples. 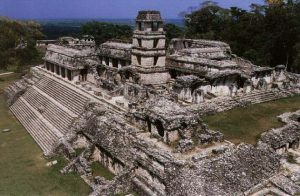 Copan is one of the greatest Mayan civilizations that ever existed. The ruins at Copán contain some of the most beautiful pre-Columbian artifacts . Guatemala is a poor country, but the people are warm and welcoming, proud of their outstanding natural and cultural attractions. Looking forward to enjoy the beauty of Lake Atitlan. The former colonial capital, Antigua, is the country’s most charming town. Despite being devastated by a long-ago earthquake, the town still boasts shady squares, red-roofed buildings and a wealth of colonial churches. Guatemala’s most famous attraction, however, is the mighty ruins at Tikal, the city that was the Mayan capital for 700 years. The traditional lifestyles at the colorful markets at Chichicastenango will be great as a photographer. Maya History and World class diving! This will be the perfect combination during our Belize trip. With an English speaking population of just over 250,000, Belize remains one of the most tranquil countries in Central America Belize’s other claims to fame are its pristine tropical jungles, extensive cave systems and some of the world’s most impressive Mayan ruins. More than 3000 years ago the region now known as Belize was the main center of the great Mayan civilizations, which extended into what is now Mexico’s Yucatan peninsula to the north and Guatemala to the south. This is the place where all the prominent Mayan cities ruled the Americas for more than 2000 years. One of the highlights of our entire trip will be the bleu hole ! 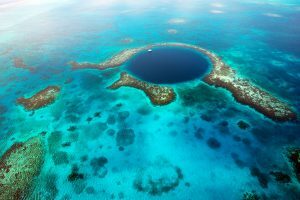 Belize is one of the premiere diving destinations in the world, and topping the list of dive sites is the magnificent Blue Hole. 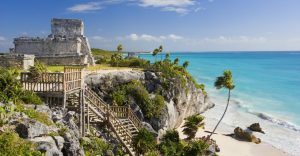 Mexico our last country on the list has it all: vast cactus-strewn deserts, jungles dotted with ancient ruined pyramids, grand colonial cities and gorgeous Pacific and Caribbean coastlines. The richly varied culinary scene reflects a beguiling blend of Spanish and indigenous traditions, while vibrant markets supply perhaps the brightest and boldest crafts in the world. It will be my second visit to Mexico but my first to the Yucatán Peninsula.